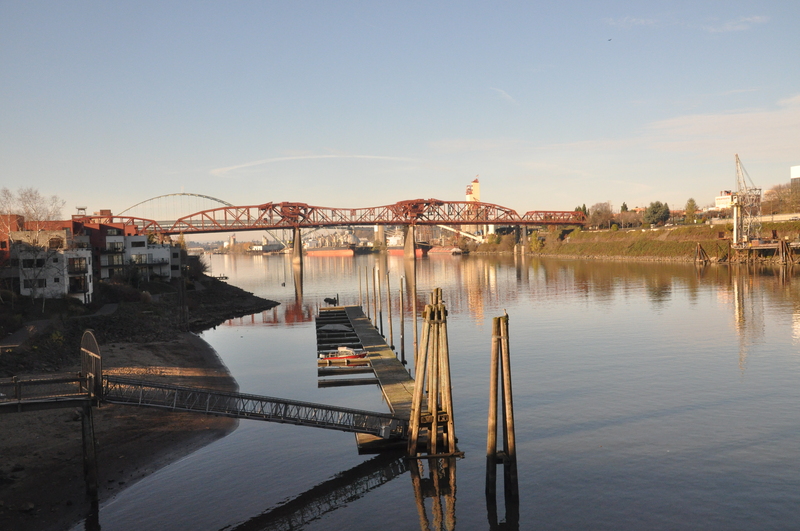 We spent all of yesterday travelling on Amtrak’s Coast Starlight service from Seattle to Emeryville, CA. The journey took about 24 hours and was once again stunning scenery. We passed through Washington state, Oregon and then into California (a total distance of 900-odd miles). This train was a lot like previous ones we have taken, although as it’s Amtrak’s flagship service it had a couple of extra benefits for sleeping car passengers. 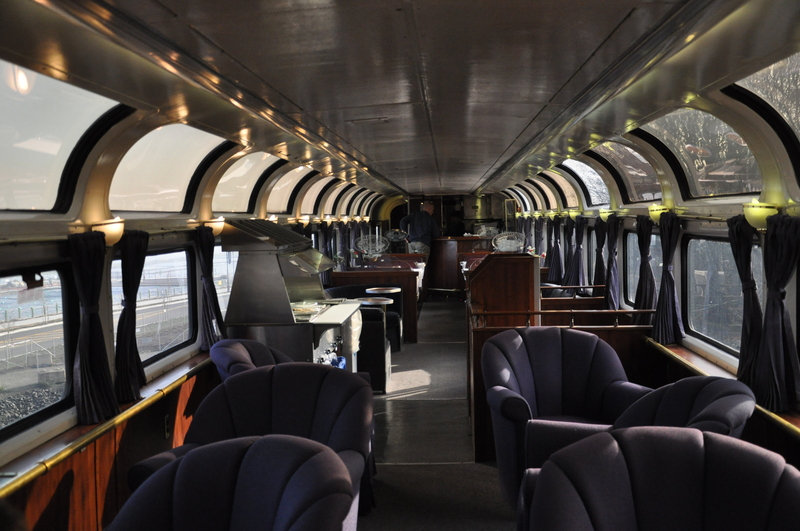 As sleeping car passengers we had access to the ‘parlour car’ – a more luxurious version of the sightseer lounge on other services – with swivelling arm chairs, bar service, additional meal service and a cinema on the lower level. We used this car for a short while to admire the view when we first joined the train. This train journey was great. The views of the Cascade mountains were lovely. We watched a beautiful red sunrise as we were eating breakfast in the dining car. One passenger described train travel as ‘a drug but without the consequences’ – spot on! We really loved the scenery on this stretch of our Amtrak adventure. We’ve loved the relaxed pace of long-distance rail travel over here. We’re already planning to do the bits we haven’t covered on this journey at some point in the future – the Southern route via New Orleans etc. 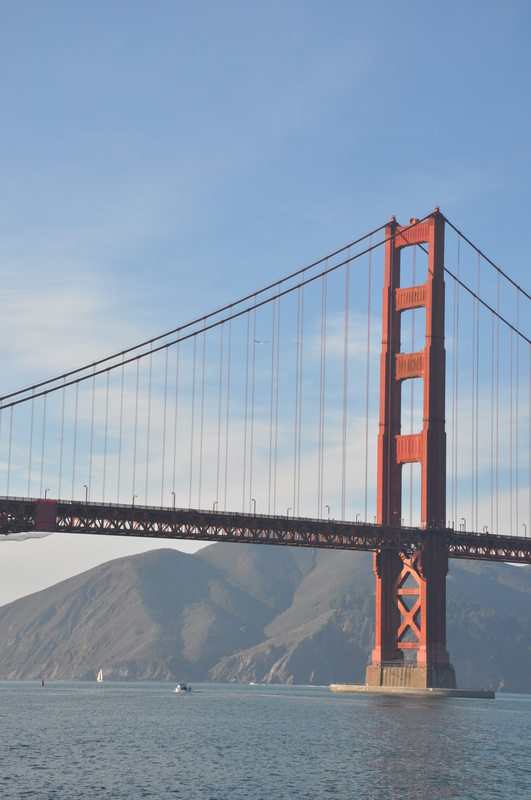 This morning we got off the train in Emeryville and took the bus over the bridge to San Francisco. 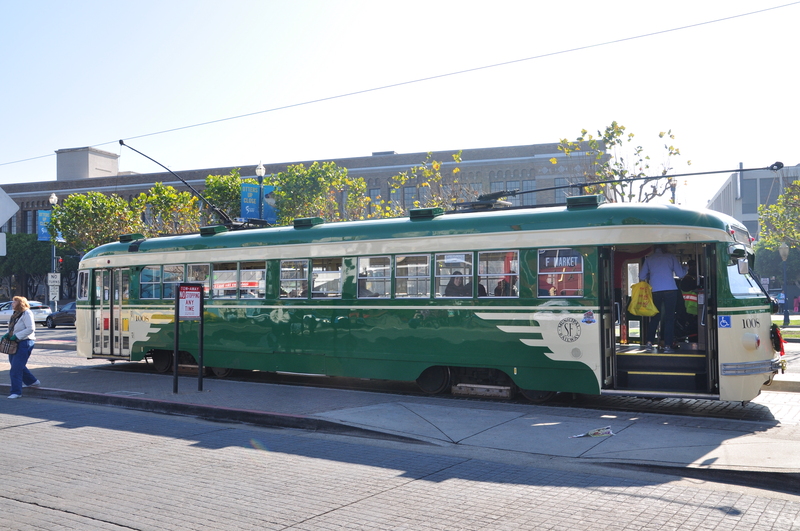 We checked into our hotel near Market Street (the main shopping area downtown) and then went on one of the historic trolley buses up to the seafront and Fisherman’s Wharf area. 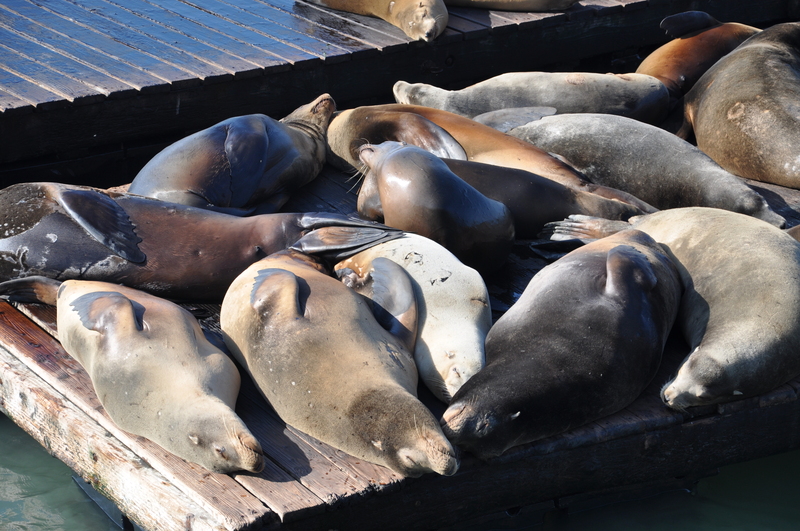 There were loads of sea lions piled up on the jetties to bask in the sunlight. 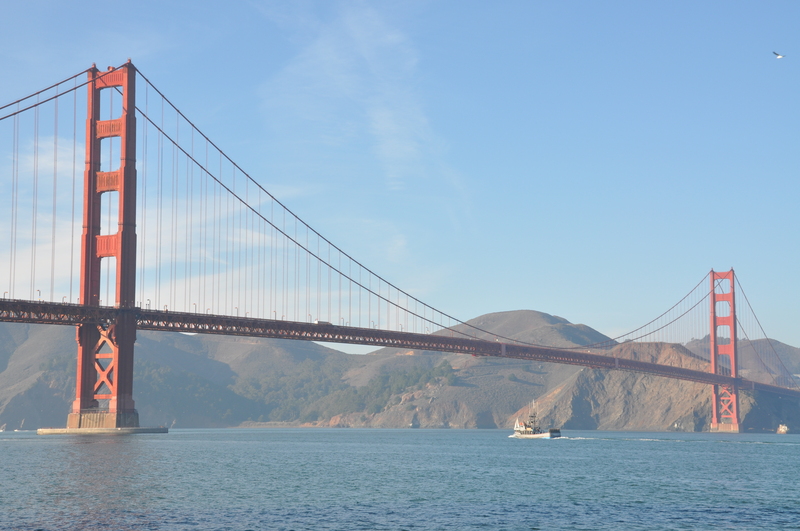 We then walked all the way to Golden Gate bridge and back along the waterfront. The views of the bridge all along were beautiful and the sun was shining. I am loving the weather in California! 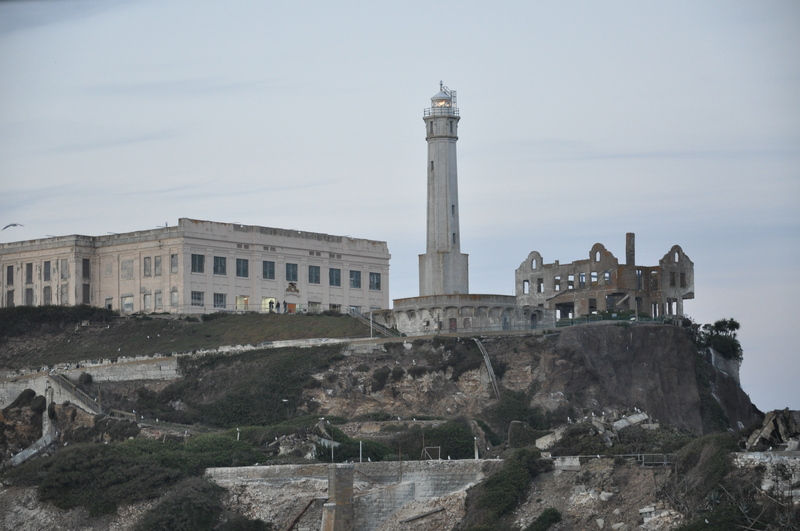 We had pre-booked tickets for Alcatraz prison night tour. The rock was previously used as a fort to defend the bay. 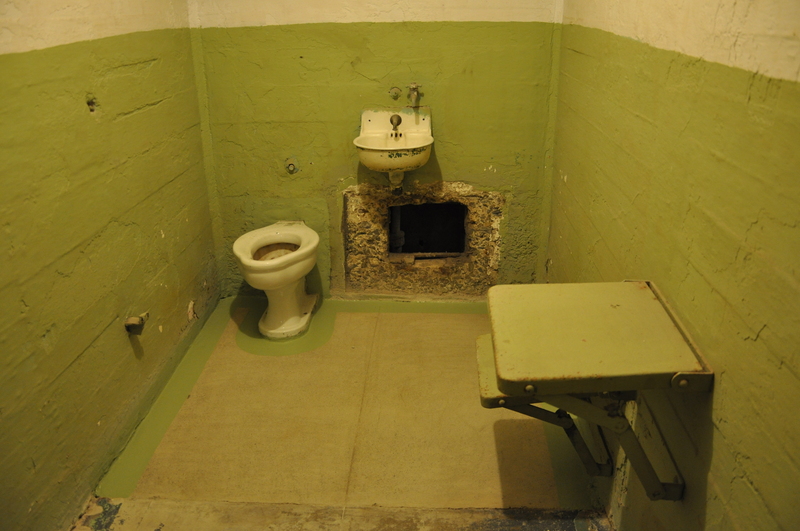 The prison on Alcatraz was built in 1909 and closed as a prison in 1963. 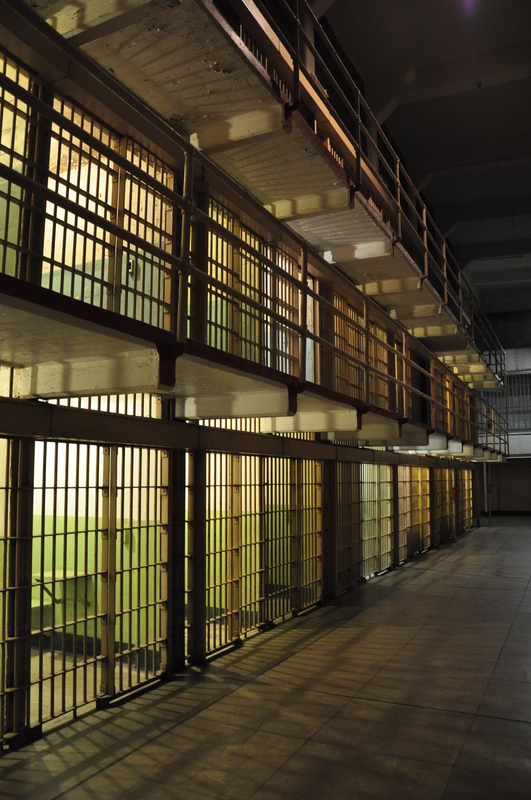 You can view the cell blocks, hospital wing, exercise yard and control rooms. A famous escape occurred in 1962 – the three men who escaped have never been found.This picture shows how they used spoons to widen the vents in their rooms. 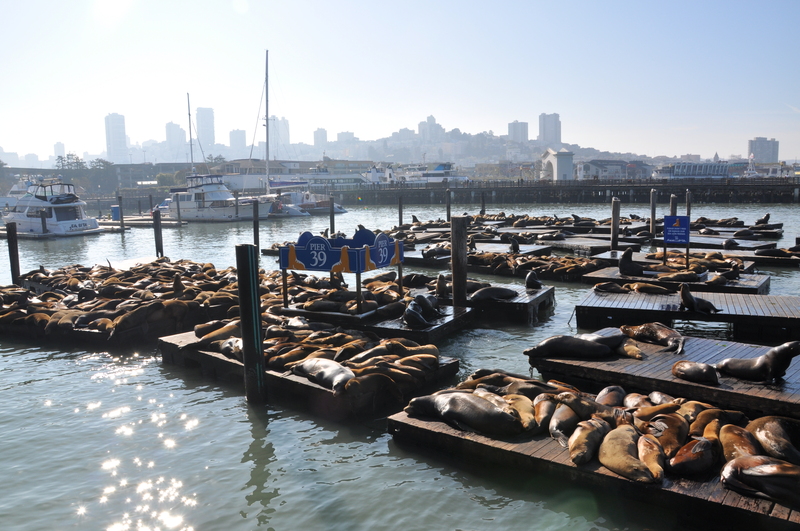 The tour was really interesting and we would recommend this to anyone visiting San Francisco.